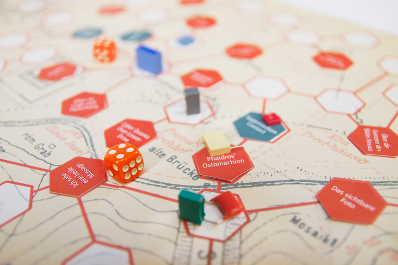 board game realized by the artist collective qujOchÖ, in Linz. But when they came to writing, Theuth said: "O King, here is something that, once learned, will make the Egyptians wiser and will improve their memory; I have discovered a potion for memory and for wisdom." This is how it goes, the myth of the invention of writing by the Egyptian god Theuth, as described by the well-known Greek philosopher Plato in his work "Phaedrus" from the 5th century BC. 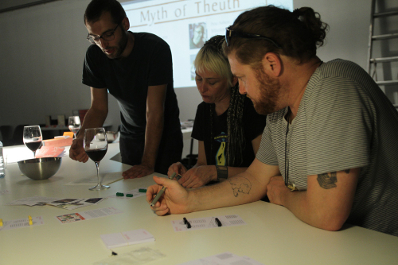 MYTH OF THEUTH is a board game in which the players move through ancient Athens, collecting different media in order to complete a mission. 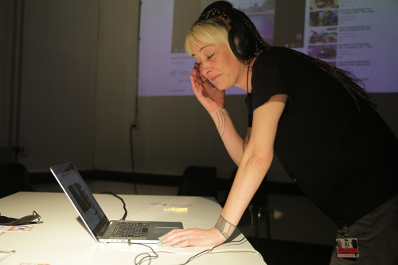 They will meet famous people who greatly influenced the development of media and cultural theories. 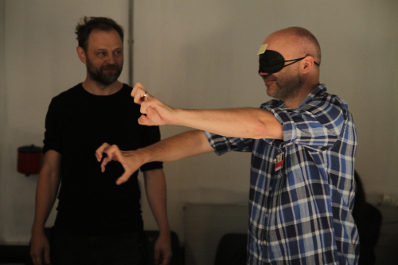 Gotthold Ephraim Lessing shows the players the limits of the image, Laura Mulvey takes a delightful gaze on their memorizing abilities, and Marshall McLuhan finally gets his well-deserved massage. 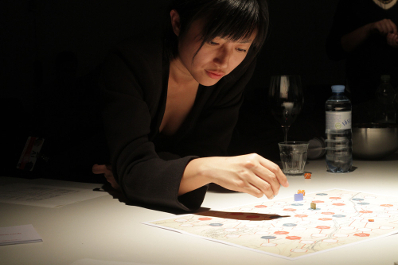 Across the 12 stations, the players will use smartphones, newspapers, stamps, candy, hand, feet, pairs of eyes, and other means to discover the Myth of Theuth. 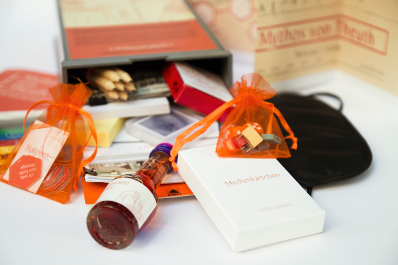 Whoever manages to finish the mission first - with a combination of strategy, luck, and knowledge - will be worshiped as a divine medium! 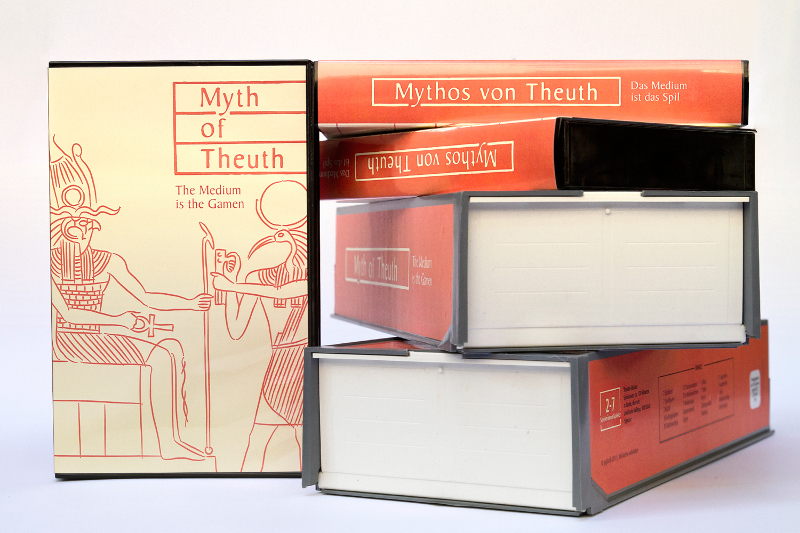 MYTH OF THEUTH is available in three different versions in English and German.